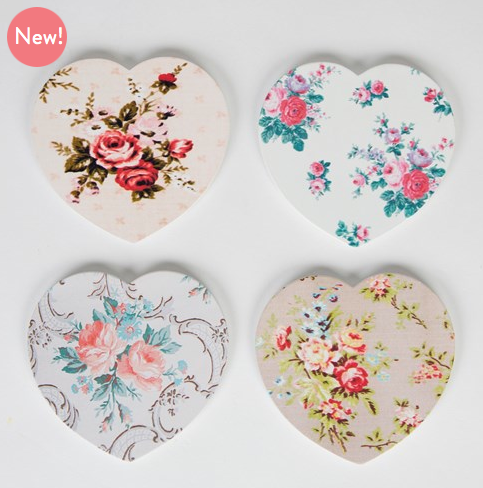 This set of Vintage Rose heart coasters are lovely and are available as a set of four in a floral holder marked coasters. There are an assortment of pretty Vintage Floral prints including; Lady Antoinette, Lady Jeanne and Lady Vivienne. 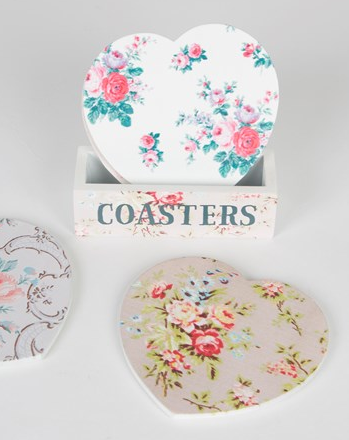 Made from MDF, this charming product will look delightful in the home.